Damaged skin too requires to be cleansed and purified but with the help of a mild and gentle cleanser. Kronokare's Raise The Bar! Cream Soap ensures gentle cleansing of skin while keeping your skin soft, supple. 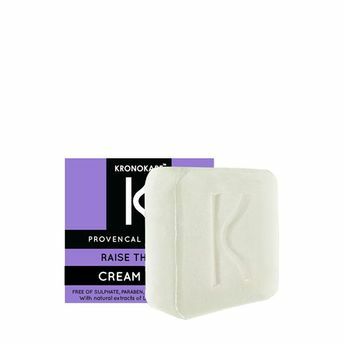 It is enriched with skin purifying lavender extracts and nourishing Vitamin E. The Kronokare Cream Soap will not just make you feel clean and soft but would also give you a fresh and fabulous feeling at the same time. Explore the entire range of Soaps available on Nykaa. Shop more Kronokare products here.You can browse through the complete world of Kronokare Soaps .Alternatively, you can also find many more products from the Kronokare Raise The Bar! Cream Soap range.